Since the Middle Ages the site on which the CNL is located has been known as Udingen-lez-Mersch. The Maison Servais – as it presents itself today – was built in 1788 by the notary Philippe Servais (1738-1801). During the time of Napoleon’s French Campaign, the house played host to Austro-Prussian soldiers. In 1829, Antoine Servais (1778-1859), son of Philippe Servais, fit the distillery on the grounds with the first steam engine in the country. In 1832 he purchased the foundry at Weilerbach, as well as the Weilerbach castle and its annexes. Antoine Servais had three sons: Philippe, Joseph and Emmanuel Servais. 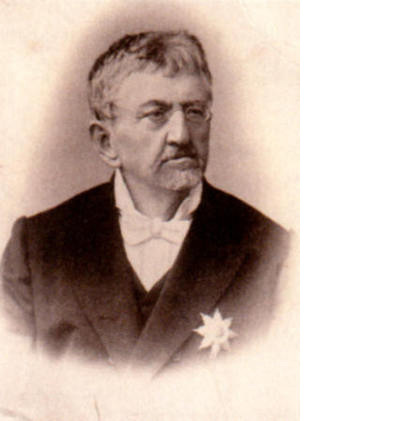 Philippe Servais (1810-1890) was appointed heir to his father’s foundry, Joseph Servais (1819-1890) founded a sugar factory in Mersch (the “Société Anonyme Sucrière du Luxembourg”) while Emmanuel Servais (1811-1890) decided to pursue a political career. 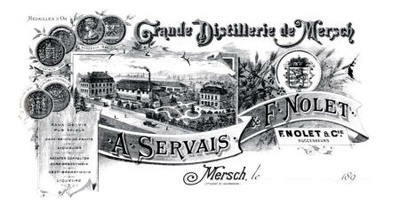 Towards the end of the 19th century, Auguste Servais Sr. (1865-1922), the son of Joseph Servais, established the “Grande Distillerie de Mersch”, while his brother, Félix Servais (1873-1916) chose a literary path. 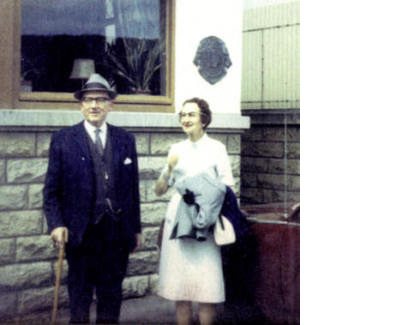 The last members of the Servais family to live in the Maison Servais were the grandchildren of Joseph Servais, the notary Auguste Servais Jr. (1901-1970) and his sister Jeanne (1899-1985). Auguste Servais, nicknamed ‘Men’, set up his notary office on the ground floor of the house. He died unmarried in 1970. Among these illustrious generations of Servais, Emmanuel Servais left the biggest mark on the history of his country. Emmanuel Servais, born in Mersch in 1811, studied law before embarking on a dazzling career in politics. He served as Prime Minister, President of the Council of State, President of the Chamber of Deputies and Mayor of the City of Luxembourg. During his time in office, Emmanuel Servais participated in the drafting of four constitutions for the Grand Duchy of Luxembourg (1841, 1848, 1856 and 1868) and signed the Treaty of London in 1867 with Prime Minister Victor de Tornaco. As well as having a political career, Emmanuel Servais was also a proficient writer, publishing studies on pre-Second Punic War Roman institutions as well as many articles, speeches and memoirs. His autobiography was published posthumously. It was re-edited and republished by the Fondation Servais. After Auguste Jr.’s death, Jeanne Servais lived alone in the Maison Servais. In 1971 she had central heating installed on the ground floor. Three years later she ensured that the house became listed as a historic building (“inventaire des sites et monuments nationaux”). As she had no direct heirs, she left the house in her will to the Municipality of Mersch. Jeanne Servais died on 19 April 1985. In accordance with the law of 29 December 1988, an exchange was made between the Municipality of Mersch and the State: Mersch castle was given to the Municipality and the State received the Maison Servais. The Maison Servais was listed as a national monument by the government in 1990. On 13 October 1995, the Centre national de littérature opened its doors. On 25 June 2004, it became a national cultural institute. The annexe of the CNL – the Maison Becker-Eiffes – was part of the property belonging to the Servais family in the 19th century. The building was acquired by the State on 7 May 1999 at an auction. Renovation was undertaken from 2003 to 2009. Today, the CNL consists of the Maison Servais, the annexe Becker-Eiffes and two independent studios. Within the historical setting of the Maison Servais you can find a library, a reading room, a conference room, exhibition rooms as well as offices. The archives are held in climate controlled storage deposits in the annexe, where there are also offices. The studios are available to writers-in-residence, researchers and lecturers. The CNL’s grounds include a garden, which is open to the public.